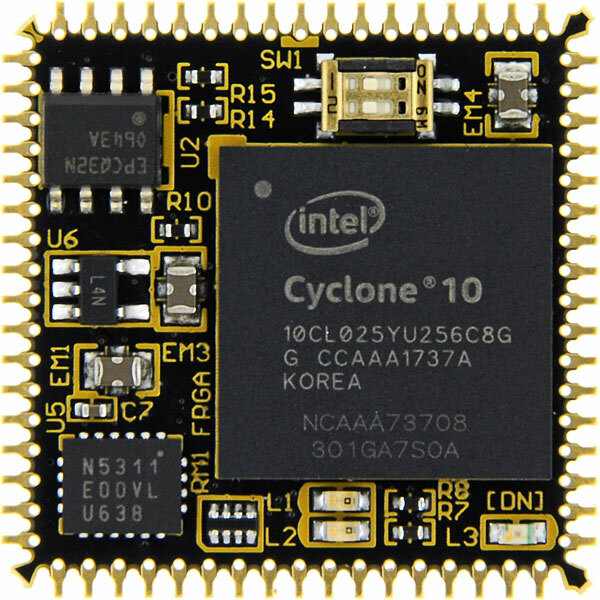 AP68-09 offers you useful 68pin PLCC FPGA module of Intel high performance Cyclone 10 LP. 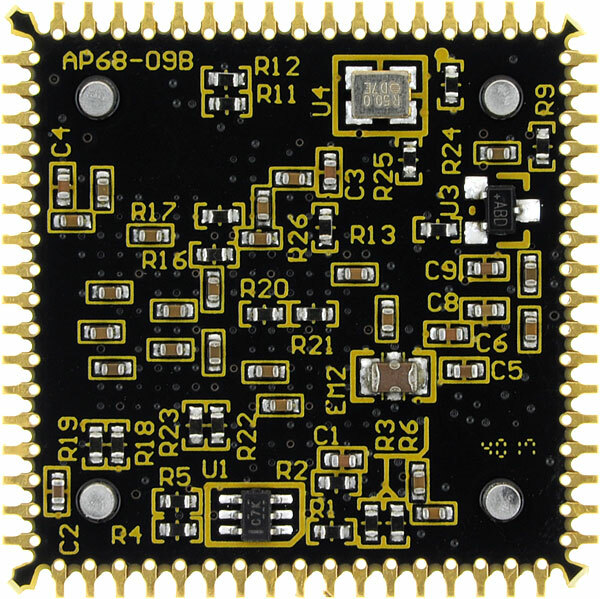 It's very compact size so you can use AP68-09 in universal board by using DIP PLCC socket. Only one 3.3V single power supply is required. 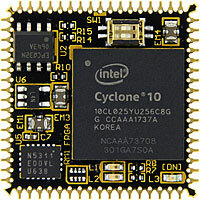 There are 50 user I/Os divided into two Vccio group, an oscillator and a configuration device on it. This table is for reference. Please refer to official datasheets for certain information. There is no paper document such as user's manual and circuit schematic in the package. Please download those documents from the link in the documentation section below.